I have not indicated interest to contest any elective position – Kachikwu – Royal Times of Nigeria. 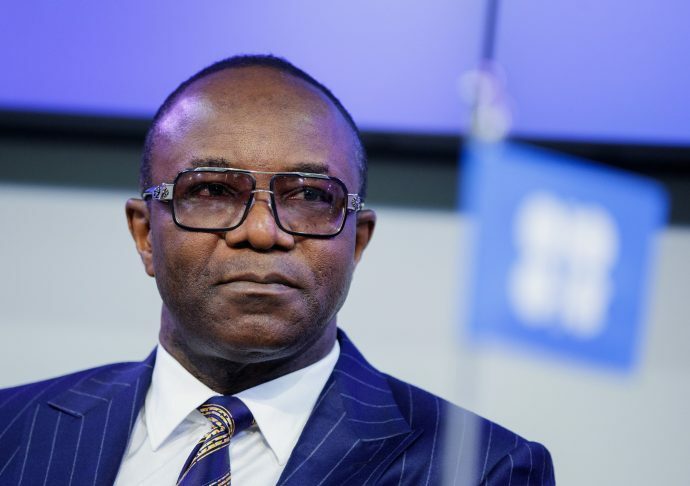 Minister of State for Petroleum Resources, Ibe Kachikwu said he has not disclosed any intention to contest the governorship of Delta State or any elective position in 2019. The minister described campaign posters indicating that he was running for the governorship of the state in 2019 as fake posters. In a statement signed by the Director of Press, Ministry of Petroleum Resources, Idang Alibi, in Abuja on Monday, Kachikwu said he was rather focused on representing Delta State in the Federal Executive Council. Alibi said, “Our attention has been drawn to fake campaign posters of the Minister of State for Petroleum Resources Dr. Ibe Kachikwu, for the 2019 governorship election in Delta State pasted by unknown persons across the Federal Capital Territory. “The office of the Minister of State for Petroleum Resources hereby dissociates itself from the campaign posters which he has absolutely no knowledge of. The minister has not indicated any interest in running for any elective political office in Delta State. “Kachikwu is focused on delivering on the reforms currently being implemented in the petroleum sector under the leadership of President (Muhammadu) Buhari and acting President (Yemi) Osinbajo in line with his duties as the Minister of State for Petroleum Resources and the Chairman of the Board of the Nigerian National Petroleum Corporation.